We are long time Malamute owners but new to Huskies. 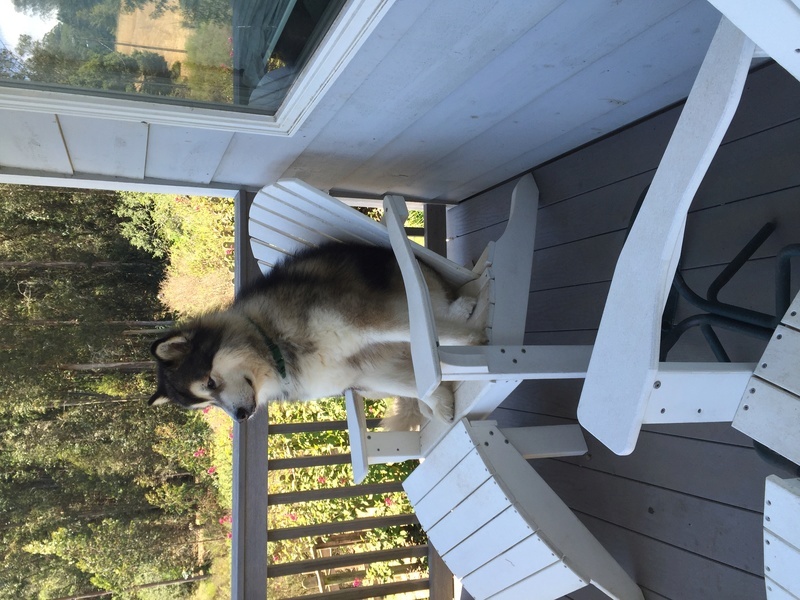 Our household currently consists or Rohn a 4 year old malamute and two cats. 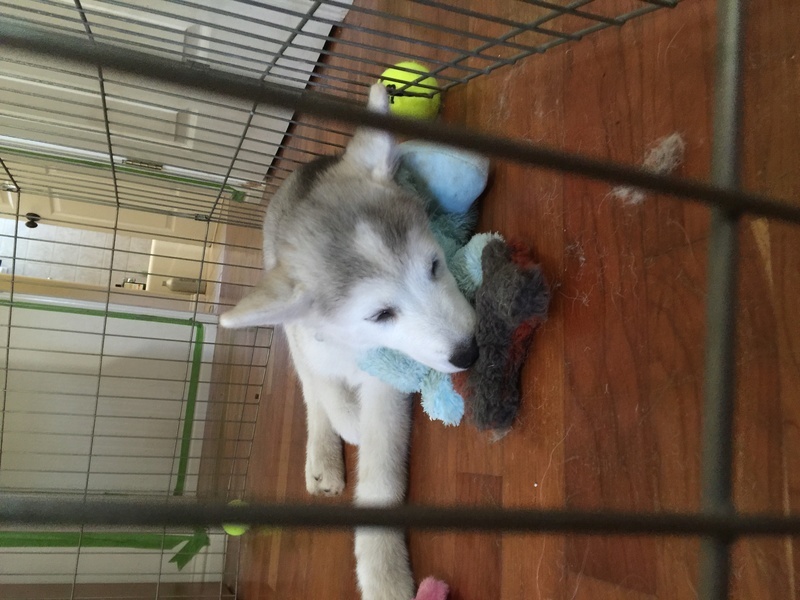 To this craziness we added a 10 week female siberian mix. The other big thing is she is a submission/excited peer. Never had that with any of our Mal's so any tips on how to prevent that would be a great help. We are trying not to excite her but having limited success. Welcome aboard! I got nothing for ya on the excited peeing thing, although I am sure someone here will have some advice on that front. Good lookin pup! Looking forward to seeing her and the rest of your clan on here. As long as there isn't an underlying uti she will outgrow the excited peeing. As she gets used to you and builds her confidence it will stop. Welcome to the forum! Luka still excited pees occasionally, but it's got much better. Time will help! Wonder why some pups do that and some don't? Hm... Do you know what she's mixed with? She's a pretty girl for sure! Ohhh, Harley is indeed a cutie, and I will ask too, what is she mixed with? My Miya has never been food motivated, yet thrives on positive praise, so there is a tip on training with her, good girl pat on the shoulders. The pee thing, ugh, well I really hope you do not have this issue as long as I had it, Miya did up until she was close to 18 months old, I was terrified she would do it forever. As a young pup it was all the time any time she got excited. Then it was when people came over, especially my husbands best friend. The best thing I can suggest is what Jenn suggested, build confidence, and know her triggers. If it's people in particular, then try and take her out to potty before someone comes over, as in our case we started to ask people to give us a call first to help with this. I can not wait to see this girl grow. Jenn/Renee/Dev - Hopefully she will outgrow it. She pees with people and Rohn Hoping this will go away with time/training/work. Supposedly there is a little malamute in there but having had Malamutes, I don't see it. She isn't fluffy and she is very fine boned. We were thinking of doing a DNA test just for fun to see what shows up. It's been awhile since I've had a Malamute but I do kinda see one in Harley, it may just be her expression in this pic but I kinda see it in her eyes. I love Malamutes, the one I had I grew up with and he lived to be 16, he was my best bud. There is just something special about them. Welcome to the forum! I hope to see lots more pics of Harley as she grows! Rohn too! I gave you the tip for the excitement pee with people, but with Rohn she is submissive peeing, so definitely build confidence for that aspect. Hmmm on the mal, maybe she is too young to tell, and for sure huskies are finer boned than mals. She is lovely, and reminds me of my Miya when she was that age. Renee - Thanks for the tip. I had a feeling by her posture we had a combination of peeing triggers. 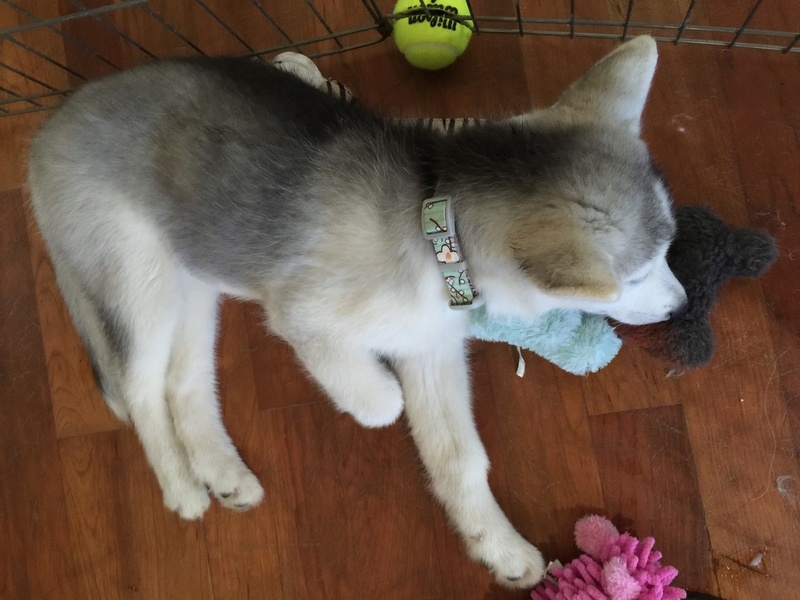 Here she is napping after a play session with Rohn. 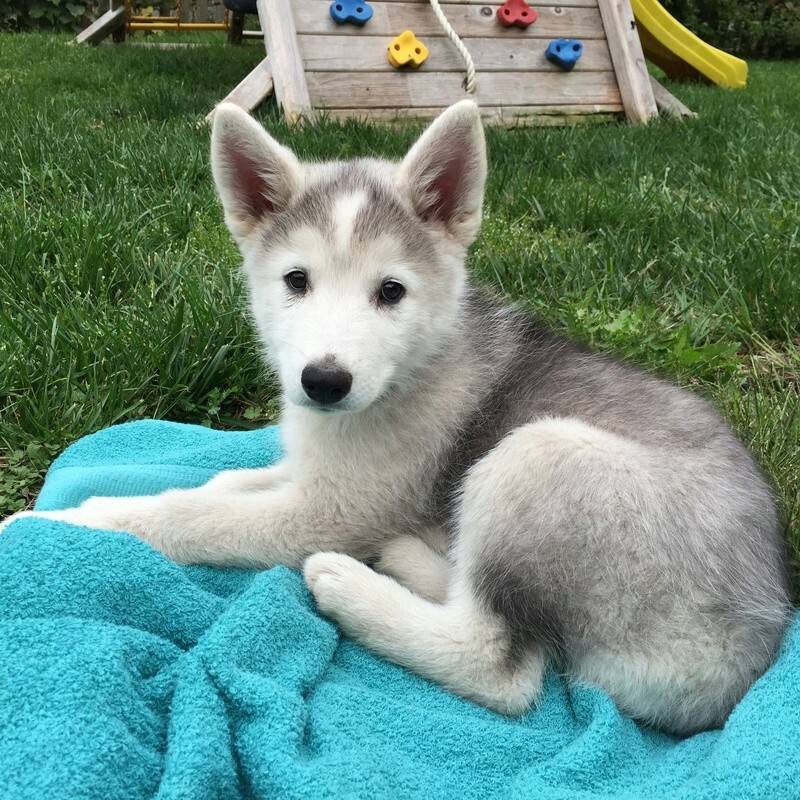 hi, welcome to the forums, your have beautiful fur babies. Rohn is gorgeous! Sable and Seal, are they the same? My Malamute was Seal and White on his papers, but his coloring was basically the same as Rohn, just not as black in places like the headpiece. Very pretty dogs you have. Jimmy - I can't post links yet because I am too new. 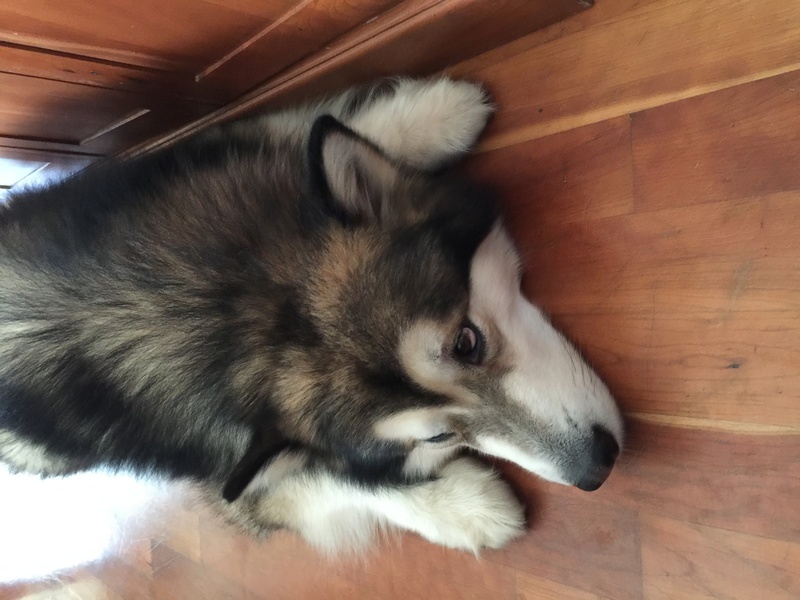 If you google seal malamute, the first link that will come up is a link to a pdf on alaskanmalamute.org. The authors do a really good job describing the different colors. It sounds like any coat can have a bit of the sable color but a true sable is a dog that would be gray and white but has a cream or orange undercoat in place of the gray.